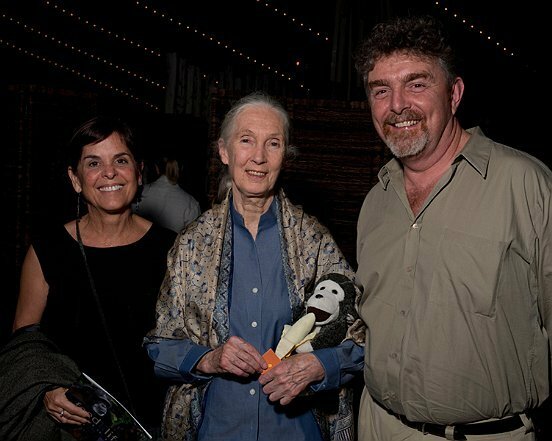 Gerard “Ged” Caddick, founder Terra Incognita Ecotours, with Jane Goodall. Charitable vacations are very popular right now as more and more people long to give something back to the incredible places they visit in exchange for the once-in-a-lifetime bucket-list experience these places give to them. One of those offering life-changing charitable vacations is Ged Caddick who launched his ecotour company, Terra Incognita Ecotours. with the dumbfounding mission – to give his profits away! With a Masters Degree in Wildlife Ecology from the University of Florida, Ged has always been motivated by his passion for making a difference. After successfully working in wildlife conservation, he launched Terra Incognita Ecotours, a Florida-based travel company with a massive, but simple mission – to give back. Nine years later, Ged has donated more than $130,000 to charities in more than 7 countries, literally changing lives each and every time he gets on an airplane. “The business model I created for Terra Incognita isn’t based on profits, like most businesses are. We measure success by how much we’re able to give away – the more the better,” says Ged. So how does he do it? Every ecotour isn’t just an adventure of a lifetime – it’s a way for travelers to give back to the communities that so graciously host them for a day, a week or even a month. With destinations like Belize, Borneo, Brazil, China, India, Kenya, Rwanda, Madagascar and Tanzania, Ged’s ecotours attract travelers who want to visit the most exotic parts of the globe with an expert guide to show them the way. Ged doesn’t just donate a check at the end of each year. He takes all of his travelers right to the organization to which they are contributing. In Rwanda, his tours visit the Gorilla Doctors, a non-profit group of veterinarians responsible for keeping the highly endangered Mountain Gorilla population healthy. They also visit the genocide museum to learn about the country’s past, giving his guests a glimpse of the enormous and seemingly insurmountable obstacles Rwandans have overcome in just 20 years. Terra Incognita’s ecotours do more than just give back financially. Every planned tour gives meticulous attention to environmental and sustainable responsibility. Ged’s guiding principles are to minimize impact and to build and foster environmental and cultural awareness and respect. He provides positive experiences for both visitors and hosts. Gerard “Ged” Caddick founded Terra Incognita ECOTOURS in 2004 after more than 15 years of working in the Expedition Travel industry. Ged has led many trips for Lindblad Expeditions, International Expeditions, World Wildlife Fund, National Geographic Society and the American Museum of Natural History as well as many College Alumni groups, the National Audubon Society and the Smithsonian Institution. He also lived in Belize, Central America for a number of years in the late 1980’s and worked in the conservation of endangered species for twelve years before becoming involved in the expedition travel industry. It is this mix of expedition travel (a.k.a. 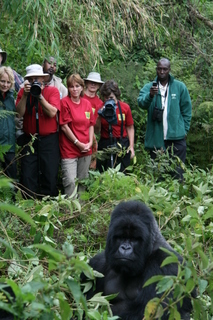 ecotourism) and conservation that has helped to shape Terra Incognita Ecotours. Visit www.ecotours.com for more information.